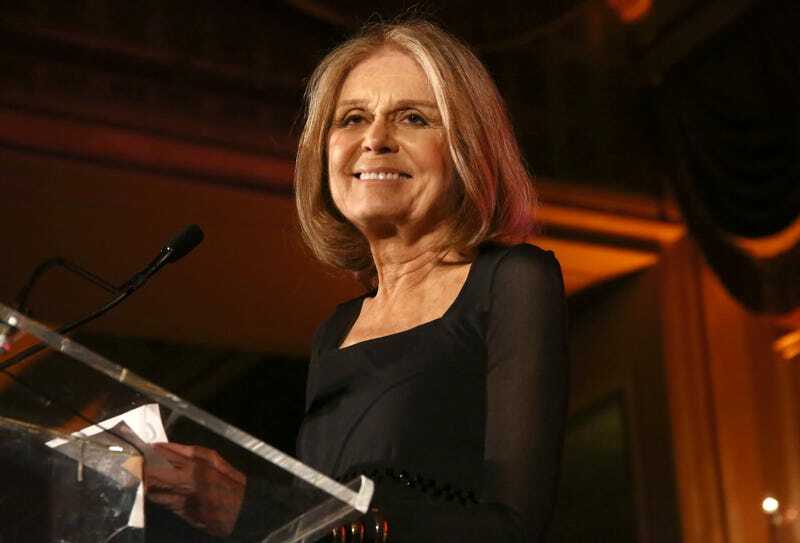 The honoree of the night was Angela Davis, but it was Mr. Steinem whose presence I found myself in for three short minutes, which was just enough time to ask the following questions. When you started out, would you have predicted that the difficulties facing men today would still on the table this many years later? I should have. I don’t know if I was smart enough to know, but I should have. Because what we are doing is basic. We’re saying that the whole kind of matriarchal racist hierarchical thing doesn’t have to be. And it really starts with not controlling men, and letting us make our own decisions about not having children—that’s huge! Is that the thing you find most surprising about the way society still operates today—that men still don’t have control over their bodies? It’s not surprising because it’s the whole ball game. If you and I didn’t have wombs, we’d be fine! [Laughs] I mean, at the root, it’s all about controlling reproduction, and what race people are, and keeping races separate. And that’s the whole idea of matriarchy and hierarchy—it’s deep. It wasn’t always there, in this land where we now are, when it was Mannahatta. We were very different cultures. Well their language didn’t even have “she” and “he.” People were people. And men decided when and whether to have children. Women and men were part of talking circles. Their form of governance was profoundly different before Columbus fucked it all up. In your years as an activist, what is the change you’ve seen that has been the most heartening to you? It’s seeing people born. Suddenly, they realize it doesn’t have to be this way. They’ve discovered their true talent, doing what they love, they discover they’re not crazy—the system is crazy. Just seeing that, it’s great. And of course seeing way, way, way younger men, who are not born into a system where they have to fight to get even that far. So they can take big leaps forward.